Sage channel partners work in conjunction with Sage to resell its products and services, often with customizations specific to each individual buyer. In addition to the value-added reselling of these tools, many Sage channel partners also offer implementation services. In situations where partners do not offer those services, buyers can utilize the services of companies that specialize in software implementation to assist with installation and training. Sage provides small- and medium-sized organizations with online and cloud business management software and services, including accounting, ERP, and CRM software. Sage offers such products as Sage 100c, which allows buyers to gain business insight and Sage CRM, which automates sales, marketing, and customer service. Sage Channel Partners reviews by real, verified users. Find unbiased ratings on user satisfaction, features, and price based on the most reviews available anywhere. 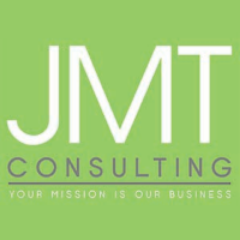 With over 25 years and 2,000 nonprofit clients, your partnership with JMT Consulting Group guarantees a risk-free implementation of your cloud accounting software. BAASS implements & supports end-to-end solutions in accounting, ERP, CRM, BI. Evron, based in Markham, ON, is a service provider delivering Financial business software solutions to Manufacturing, Distribution, Retail and Services industries. ACCEO Solutions inc. specializes in IT solutions in Canada. Accounting Business Solutions provides quality support and implementation services for Sage & Intuit Software. Acente Solutions offer persistent, personalized relationships built on trust and long-term commitment to the success of customers. Acumen Information Systems has helped hundreds of companies build their business and get historical, current and predictive views of various business operations. Absolut Info Systems is India's pioneer & leaders in online store for third party software products. It provides an integrated, end-to-end online store for both corporate and individual consumers - with a range of leading third party software products delivered over the web. Ascend Business Solutions can improve your company's efficiency & productivity. We help put the "Fun" back into Accounting and Finance by ensuring that your organization has optimized its Office of Finance processes by utilizing modern cloud-based best-of-breed software solutions for Accounting, Planning (Budgeting/Forecasting), Reporting, Financial Management, Consolidation, Month-end Close, and Analytics. Have your Accounting and Finance teams spend more time on value-added activities and minimize their manual, spreadsheet-based tasks. In particular, we have embraced the following technology partners since we believe that they are leaders in their category and offer compelling value for their customers: Host Analytics, Sage Intacct, Oracle (Hyperion and Cloud EPM), FloQast, BlackLine, Workiva, ThoughtSpot, and Dell Boomi (for Data Integration). Bredet Services provides MicrosoftDynamicsAX and Sage solutions, over 30 years of implementation experience and a 100% service satisfaction guarantee. BTerrell Group is a recognized leader in cloud-based accounting software. BTerrell Group benefits include professional-strength, game-changing financial applications, rapid deployment with unlimited flexibility to adapt to your business needs, real-time visibility into business performance, a perfect solution for Salesforce.com users and QuickBooks graduates, robust security, performance, and availability. Business Technology Solutions Inc. provides professional computer services to businesses requiring expertise in areas of software implementation, hardware & networking integration and ongoing computer support. Carlson Management Consulting is an award-winning Cloud financial solutions and services firm, serving a growing list of customers nationwide and internationally. 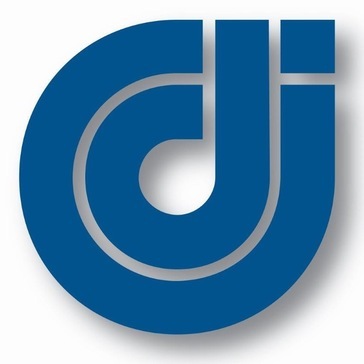 We deliver ‘best in class’ Cloud solutions for Corporate Performance Management (CPM), Enterprise Resource Planning (ERP), Timesheet and Expense Reporting, Tax Automation and Systems Integration as well as value-added consulting and outsourced services to organizations of all sizes and industries. CLA is a national professional services firm that specializes in the implementation, training and support of Intacct. Computrack Solutions is a Sage 300 ERP authorized partner. Servicing the GTA, with 25 years of designing, implementing and supporting accounting systems. Hi there! Can I help you find the best Sage Channel Partners solutions?